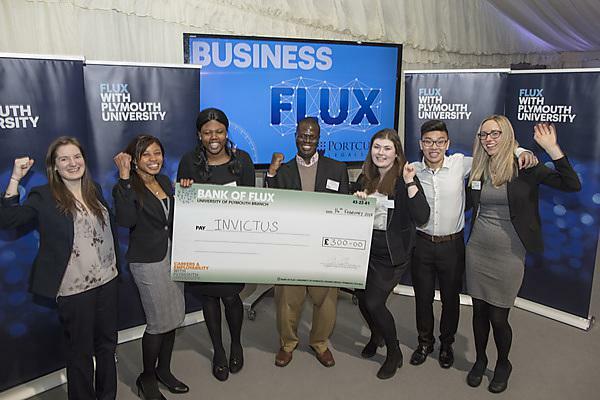 FLUX is a fast paced business competition, where you'll work in a team of six to plan and present a business idea for a real business challenge, provided by a business. Regardless of your degree subject or career plan, being able to demonstrate core business skills and sound commercial awareness is something all employers look for in graduates. FLUX will launch you into the world of business and will cover the key areas of finance, human resources, marketing and strategy/operations. Employers who are professionals in these areas work with you in the morning to develop your business plan, before judging commences in the afternoon to determine the overall winner. Discover more about each FLUX competition, including the competition sponsor, by visiting our events calendar above. Every year the Careers & Employability Service host the Creative CV Competition, which provides students with the opportunity to showcase their skills through designing a unique, imaginative CV that is tailored towards their chosen industry. Whether you are a budding graphic designer, film-maker, designer-maker, fine artist, illustrator, wordsmith or any other creative professional, this competition is perfect for you. Being able to showcase your innovative skills through your CV is essential for any creative professional whether you are looking for a job within the creative industries or you are planning to work freelance after graduation. The Student Employee of the Year Awards (SEOTY) at the University of Plymouth recognise and promote the outstanding contributions and achievements of students who effectively combine part-time work (20 hours or less) with their study commitments. In addition, the award also recognises student employers, as you can't have amazing student employees without fantastic student employers. A SEOTY award can be a great addition to your CV and it can give you the all-important edge needed to succeed. Why not speak with your employer about the award and get the recognition you deserve when nominations open in February 2019?